Business lunches and travelling to meet clients are part of the bread and butter of a consultancy company. Your job is to deliver your expert advice and help companies to grow – so it’s frustrating to be wasting so much time and money processing receipts and filling out laborious expense reports. 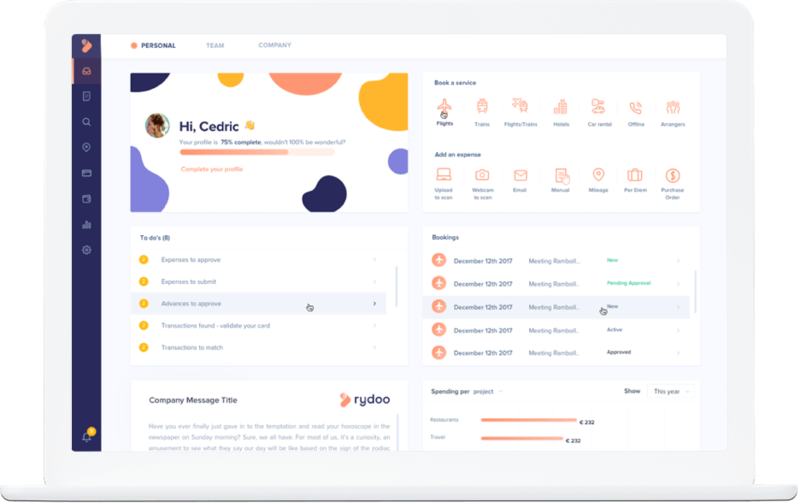 At Rydoo, we’ve developed a solution that promises to cut time wasted on expense admin by up to 75% - and to help you to keep track of company outgoings. Our expense and travel management services are efficient and elegant solutions to current outdated methods. We allow you to integrate current company rules, customise Per Diems, and to keep track of past and pending expense requests easily from our app. You can even book hotels and flights straight from our platform, so that everything can be managed in one place. No more lost receipts or wasted time. Start today with our 14-day free trial or if you have any questions, drop us a line and we’ll be happy to help. Take the awkwardness out of team dinners by adding attendees in the Rydoo app. Using our @mentions function you can include internal or external attendees for all your expenses. Imagine how much easier life would be if you could simply connect your Uber account to your expense account? Well, with Rydoo you can now integrate your favourite apps such as Uber, Lyft, Slack and Dropbox to automate expense flows and keep receipts safe. You can book travel and accommodation for your next business trip within Rydoo and charge it directly to your company account with our central billing system, or line it up for approval. We help you to find the right flight, rail ticket, car rental and even book your next hotel with our interactive directory of over 800,000 accommodation choices. Then, even better, the finance team receives a bundled invoice of all your expenses at the end of the month, all neatly packaged and ready to process. End user feedback has been overwhelmingly positive and we are seeing material efficiency benefits in our back office team. Find out more.